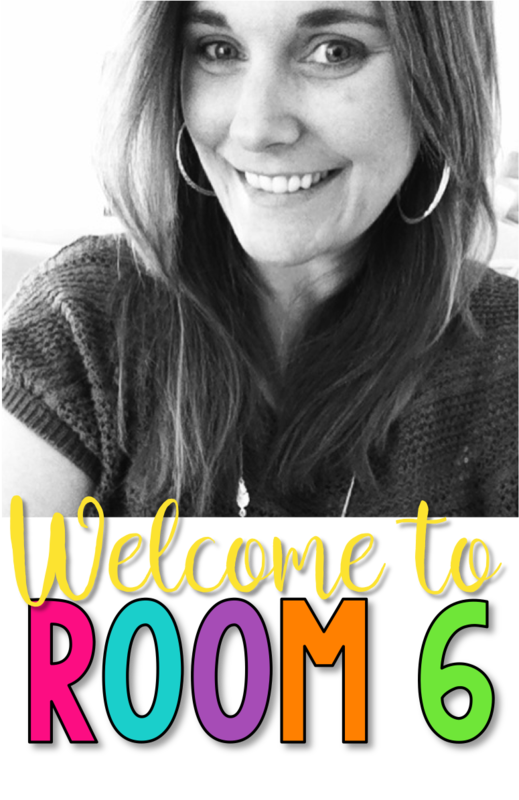 In my attempts to keep reading at the forefront of my classroom culture, and to keep the kids on track with what they are reading, I have started to implement "Currently Reading" Book Cards. What are those? I am glad you asked. In my classroom library, I have a pocket chart with laminated cards for the students to write the title of the book they are currently reading. They are simple, blank cards that have the student numbers on them. Using a vis-a-vie marker, the students write the book (or books) that they are currently reading and display them on the pocket chart. 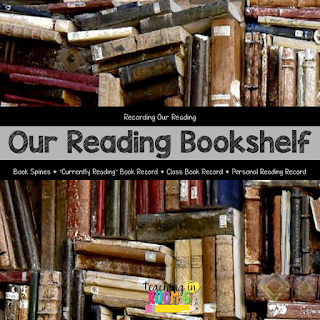 Once the students have finished the book they are reading, they will erase the title from their card and fill in a book spine to add to our classroom "bookshelf" (which you can read about more in detail here.) After they have chosen a new book to read, they will write that on their laminated card and the cycle continues. What I am finding is also happening with this, besides just me knowing what the kids are reading, is that the other students in the class also can see what is being read. They are using this as an opportunity to check out a new book they might have previously not looked at. Since their classmate is reading it, it must be good, right? Students are also seeing that the series' that they are reading are also being read by others. It has sparked some nice conversation between my students about which books to read. 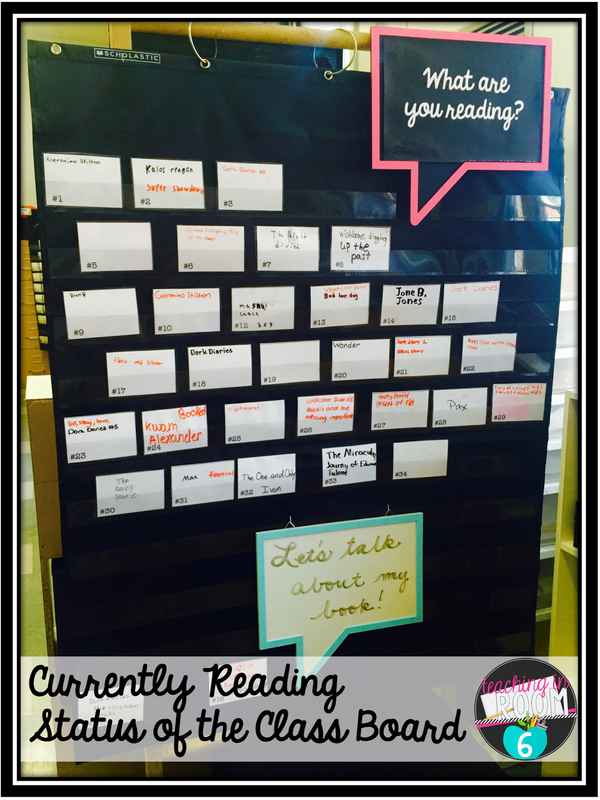 How do you keep track of the books students are currently reading during silent or at home reading time? 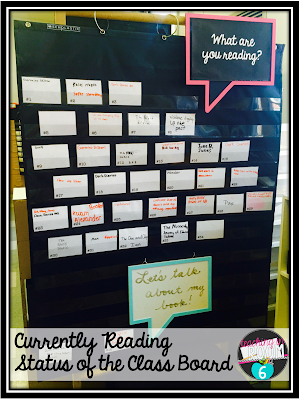 Would you like to make it a whole reading interactive board? 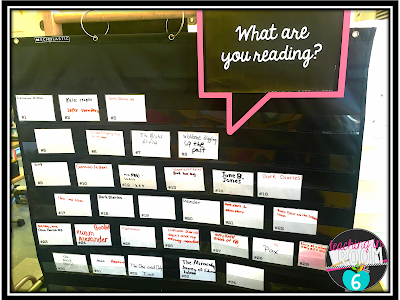 Here is what I use in my class to make displaying the students' reading a source of pride. Love this idea and it's visible for students to see which is a plus! I tried using a binder and keeping up with what students are reading, but it is not working. Love this idea because it hold students accountable and is meaningful for them. You always have the best ideas! 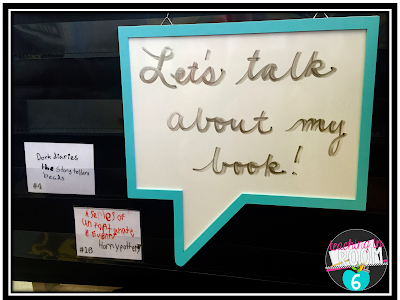 Looks great with the "let's talk" section at the bottom, and I love the idea of the laminated cards. Great idea! There are so many different things that the wall and cards could be used for in my classroom. Thanks for sharing the idea! If you changed color of cards each time, you would also be able to visually see how often students are switching books. I love this idea! 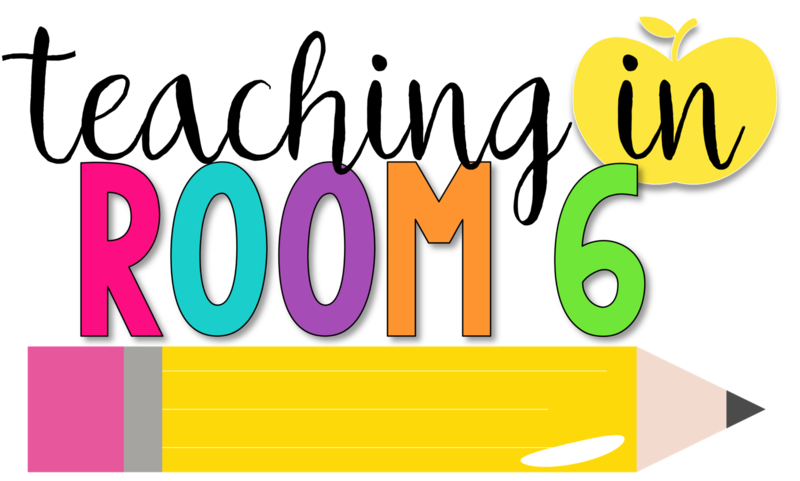 Part of the survey for the DRA assessment asks the students to list what books they have recently read & completed so this would be a very helpful tool.